The Audi S7 is a five-door, mid-size luxury fastback that's related to the A6. 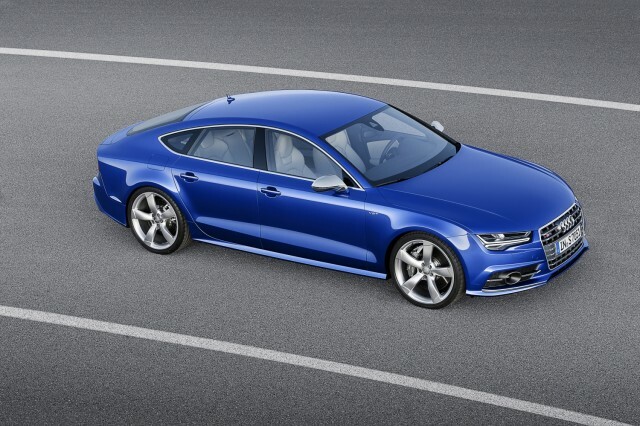 Like the high-performance S6 sedan, there's a high-performance S7 hatchback too—and there's more. A scorching RS7 is available too. The S7 calls into question every prejudice against practical hatchbacks, but it's more than just a thought leader. 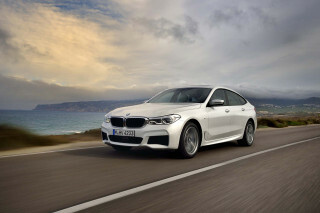 It's serious competition against the Mercedes-AMG CLS63 and the BMW M6 Gran Coupe, as well as the Alpina B6 Gran Coupe. For 2018, the S7 and RS 7 line see few changes other than some revised wheel styles. 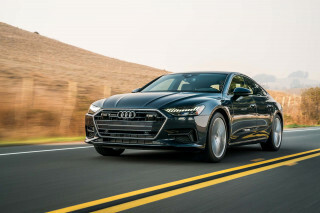 A new S7 is in the pipeline and may debut as soon as the 2020 model year, since the new 2019 A7 already has been confirmed for U.S. sale. You can call the S7 a hatchback or a coupe-like sedan. It's one of the best vehicles of its kind, no matter if you're judging it on looks, dynamics, or content. 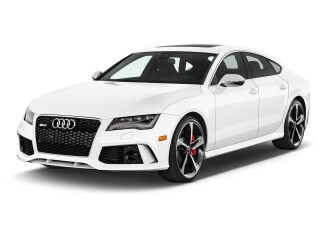 Under the S7's hood there's a twin-turbocharged 4.0-liter V-8 with 450 horsepower and 406 pound-feet of torque, sent to all four wheels via Audi's quattro all-wheel-drive system and a 7-speed dual-clutch transmission. It can throw down 0-60 mph runs in 4.3 seconds, on its way to a top speed limited at 155 mph, while delivering highway fuel economy in the high 20s, according to the EPA. The even hotter RS 7 has a 560-hp version of the same engine standard and is also offered with 605 hp in the RS 7 Performance model. The S7's dual-clutch can't handle the insane torque of the RS 7's V-8, so a much smoother 8-speed automatic stands in its place. The automatic transmission has launch control and actually makes the RS 7 more comfortable than the S7, especially when just cruising. The rear-biased, all-wheel-drive system has a torque-vectoring rear differential that gets the big hatch to really turn. With all of this power, the RS 7 Performance doesn't just beat up on sports sedans. It's also a match for some real sports cars, with a 3.6-second 0-to-60 mph time and a top speed of 190 mph. Even with all that performance, the poise of the S7 and RS 7 is unmistakable: steering can be firm and direct, and ride quality controlled, even with Drive Select in its more relaxed settings. That performance and poise comes under the auspices of a practical luxury car. The sloping roof and the enormous hatchback opening make the S7 more practical and versatile than it has a right to be. Rear-seat passengers may note that headroom is somewhat tight in back, but those rear seatbacks fold forward to expand cargo space. There's extensive use of aluminum in the S7's body to reduce weight, and the frameless doors look elegant and do their part to minimize wind noise. Inside, the S7 and RS 7 receive some of the best elements of the cabin from Audi's A8 flagship—including superb materials, trims, and Audi's Multi-Media Interface (MMI) Plus screen-based system, which includes a combination rotary controller and an interface for audio navigation, and calling functions. In addition to the controller, there's MMI Touch, which lets you enter destinations, phonebook entries, and such by tracing out individual letters, one at a time. The navigation system also includes 3-D Google Earth imagery. Combined with SiriusXM Traffic updates, Audi's navigation system is one of the best on the market. For 2016, Audi tuned its 4.0-liter V-8 for even more punch in the S7; the potent engine now produces 450 hp, up 30 from prior years. A new model for the 2013 model year, the 2016 S7 also received its first facelift. Changes included subtle updates to the lighting elements in front and rear, as well as a revised interior layout with improved materials and the latest Audi infotainment offerings. The changes for 2017 are highlighted by more standard equipment and a new trim level for the S7 called Performance Plus. Newly standard are an Audi smartphone interface, a Bose surround sound audio system, and five-spoke 19-inch wheels. Also offered are new 20- and 21-inch wheels, and red calipers with the available S7 Sport package. Awesome car and a value when compared to BMW and Porsche! the Audi S7 is the perfect combination of luxury, performance, and utility. Loaded S7 checks off all the boxes.